Confederation General Secretary informs that the next Meeting of the National Anomaly Committee will be held on 15.02.2011. 1. The DOPT vide OM No.AB.14017/61/2008-Estt(RR) dated 24th March, 2009 directed all the Ministries and Departments to amend the existing Service Rules/recruitment rules within six months in view of the 6th pay commission recommendations and it’s government decisions. Whereas this has been done only for the employees working in the Central Secretariat and discriminated the field offices. 2. The Govt. of India constituted National Anomaly Committees at the National level w.e.f. 12.th January, 2009 in order to settle the anomalies arising out of the implementation of 6th cpc in more than one Ministry/Department/field offices. Whereas only two meetings were held so far ie., 12.12.2009 and 27.3.2010 and the serious anomalies of field offices were not at all discussed in these two meetings. Further, the Govt. of India on 12.12.2009 itself issued orders to constitute separate Departmental Anomaly Committees for field level organizations and subordinate offices whereas no such anomaly committees were constituted so far . Whereas frequent monthly anomaly committee meetings are taking place for the employees of the Central Secretariat and their anomalies are being sorted by fixing pay at the minimum of the higher scale, granting higher grade pay, timely promotions or even ad hoc promotions and creation of posts to accommodate where there are no posts for promotion. These similar genuine benefits are forbidden for the employees of field offices. Now there is no Departmental anomaly committee for field organizations and there is no meetings and no reviews etc. 3. 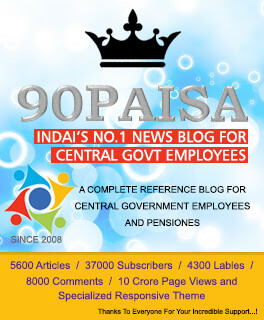 The examples of the attempt of keeping the citizens in two levels are (1) the employees those who were drawing the same scale of pay in the Central Secretariat and in the field offices are fixed at different level when there is only one FR and thereby the employees of the field offices drawing same scale of pay are getting less pay of Rs.3000 to 4000 in the basic pay itself every month and the seniors are getting very less than their juniors and junior most. 2) For the Central Secretariat employees, the pay of seniors were stepped up at par with their junior most whereas in the field offices, these stepping up are not allowed so far. 3) The employees who were promoted after 1.1.2006 in the Central Secretariat in different cadres were fixed at the minimum of the pre-revised and multiplied by 1.86 whereas for the field offices, this fixation at the minimum was not extended. 4. Another example of serious anomaly or discrimination is that “an employee who was drawing scale of Rs. 4000-6000 in the Central Secretariat on promotion as Assistant w.e.f. 2.1.2006 in the pre-revised scale of 5500-9000 were given fixation such as 7450x1.86+GP4600 . Whereas this is not allowed to field office. Further an employee who was drawing scale of pay of Rs.5500-9000 prior to 1.1.2006 were denied fixation in 7450x1.86+4600 and he/she was allowed only 5500x1.86+4200 . This is a clear cut example of creating two type of citizens though both of them were drawing same scale of pay. These are only skeleton examples and like this there are many serious anomalies in the field offices. In view of the above, we request the members of NAC to kindly take up this serious issue and discuss same in the NEXT NATIONAL ANOMALY COMMITTEE SCHEDULED TO BE HELD on 15th February, 2011 in order to apply the Fundamental Rules and CCS(R.P)Rules, 2008 uniformly. because I dont know what is not understood till now by Anomaly committee for solution in this issue. Stepping up pay at par with new entrants shows "how selfish one can be." No pension for new entrants, no GPF for them & even no MACP scheme available for them. No one has a thought for these issues. Seniors appears to take every thing at a sweep only. Lets hope the unions raise to the occasion. Dear Sir, Hope the issue of grant of PB-4 to Second In command of CPOs / Dy Secretaries will be discussed and favorably decided. eagerly awaited anomaly committee meeting. one of the very important point to be discussed is the grade pay of LDCs and UDCs. see how lowly paid they are and the work allotment is definitely not easy. also the CSS cadre UDCs,Assistant all have got their pay upgraded by way of promotion but the subordinate offices ldc and udc and assistants are left out high and dry as no one takes up issues seriously. Albeit The DOPT issued a record note, vide No.11/1/20-JCA DT.6/10/2010, no central government department seems to take it seriously and implement it genunely. It should be clearly explained by appropriate authority, how and when it should be implemented by the departments. There are many anomolies going to be came out because of the point "entire cadre can alone apt for ACP or MACP and individuials cannot opt. This should be analised by the DOPT properly and individual option can be allowed. Sir, Pl discuss with authotities about the non-grant of increment even after working one complete year in Pension fixation of those retired on 30th June having date of birth on 1st July. Is it not injustice done to them ? But a person having 2nd July as dob is given increment and retired on 31st July. Sir, Pl discuss with authorities reg non grant of increment to those retired on 30th June after serving for one complete year, having date of birth on 1st July. Is it not injustice? Can anybody who is working in Accountant General office clarify as to what would be the criteria of fixation of pay when an employee got promoted as section officer between 1-1-2006 to 1-9-2008. when an employee who got promoted in the pay scale of 6500-10500 initially and opted for his pay fixation on the date of promotion. thank you. Sub: Request for issue of orders to exercise revised option for pension – Regarding. I wish to submit the details of the pension anomaly for your kind perusal. I was absorbed in ESI Hospital K.K.Nagar in 1995 with 28 years service in the State govt of Tamilnadu, Chennai. I was entitled to serve further for a period of 13 years in ESIC. There was an option (a) to receive pro rata retirement pension benefits or (b) continue to have the pension benefit of combined service under Parent department and in ESIC on absorption. Since the option shall be exercised within six months and I desired full pension, I opted (b) for combined pension benefits. Pension benefit for my past service was paid by Parent Department to ESIC. But the various pension rules amended subsequently have extended the following additional pension benefits to the employees opted pro rata pension, discriminating employees opted for combined service pension counting past service. 1. Restoration of 1/3 rd commuted pension to the employees who opted for lump sum payment on absorption along with Dearness Relief wef 1999. 2. Dearness Relief on pension from 1999 to all pro rata pensioners. 3. The VI Central Pay Commission has granted full pension for 10 years service. Had the Government of India allowed the above pension benefits at the time of my absorption itself, I would have opted for pro rata pension. Now I have rendered more than 13 years service in ESIC and for that alone I am eligible to get full pension. The pension benefits paid by parent department is nothing but an extra income to ESIC where as I am deprived of getting the amount due to me. Thus, I am put into loss by virtue of the option exercised on absorption for counting past service as per the then pension rules. In order to rectify the discriminations whenever experienced in the unforeseen circumstances, such as change in pension rules, court orders, pay commission orders, condition of service etc, Government will usually provide an option to all concerned employees to exercise in the light of new rules so that there could not be any anomaly in the benefits due to them. Since no option is given to the absorbed employees’ opted (b) for combined service pension like me, I request you to kindly cause necessary action for the issue of suitable orders permitting me to exercise revised option for pro rata pension / lump sum payment on absorption with admissible interest as collected from Government servants who opt for counting past service at a later date. The stepping up is to be discussed for seniors when the juniors are given higher fixation due to extending the fixation by applying minimum of the pre-revised higher scale. Whereas the hint given here is for stepping up at par with junior new entrants. That should be avoided. It should be for the promottee cases also instead of new entrants. Kindly see the anomaly mentioned by Shri .S.Sadasivan dated 5th November at 9.01 pm about absorbed employees pension and revised option for pension. His case is a pathetic one. If his request for revised option is considered, there is no loss to parent department or Autonomous body.Rules need not be modified or corrected. Only change of option. Further I submit that many departments, including ESIC, have not taken initiatives or steps to set up their own anomaly committee to sort out the problems of their own employees. So, I request the respected members of NAC to give importance to this item and do the needful for settling the anomaly. The grade pay of Rs. 4200 should be given to the UDC and Stenos as these cadres are the most sufferer of the 6th CPC. An order to opt old ACP scheme should also be issued to all the departments as decided by the anomalies committee in its earlier meeting. The clerical in MES were the most suffers due non restructuring of cader. The clerk appointed in MES gets hardly one upgradation/promotion . The very first intentions for grant of ACP in the 5th CPC is totally defeated, resulting in a LDC appoionted in MES with GP of Rs.1900 retires as UDC/ with a GP of 2,400/- which a very pathetic and voilation of presidentail orders. I request NAC Honble Chairman and members to resolve the issue because the justice delayed is justice denied. Hence you are requested justify the entry grade of LDC with GP of Rs.2,400/- since the clerical work involves computerised nature and high work load due less recruitments and retirements are more. Mr.A appointed as a clerk on 17th Nov.2000 in IA&AD in pay scale(Rs.3050-75-3950)and his pay was fixed at minimum of scale i.e., Rs.3050. He promoted as Data Entry Operator on 07th Nov.2003 in pay scale(Rs.4000-100-6000) and his pay was fixed at minimum of scale i.e., Rs.4000. Further he promoted as Auditor on 19.01.2006 in pay scale (Rs.4500-125-7000) and his pay was fixed at minimum of pay scale i.e., Rs.4500. Next he promoted as S.O. (Now AAO) on 13.06.2007 in pay scale (Rs.6500-200-10500) and his pay was fixed at minimum of scale i.e., Rs.6500. But after implementation of CCS(Revised Pay) Rules 2008, his pay was fixed at Rs.10620(7820+2800)on 19.01.2006 on promotion to auditor which was lower than the minimum pay i.e., Rs.11360(8560+2800) of that post for direct recruitee apointed as on or after 01.01.2006 (pl.refer to section II of CCS(RP)Rules 2008). Further on his promotion to S.O. (AAO) cadre on 13.06.2007, his pay was fixed at Rs.16890(12090+4800)whereas the entry(minimum) pay for direct recruitee was fixed as Rs.18150(13350+4800)(pl.refer to section II of CCS(RP)Rules 2008. So, Mr. A is drawing the less pay [p.m.i.e., Rs.740(11360-10620) & Rs.1260(18150-16890) respectively]than the direct recruitee on the same post for the same work which is against the natural law of justice. Equal pay for equal work should be paid but unfortunetly after implementation of CCS(RP)Rules 2008, the departmental promotees are getting less pay than the minimum pay fixed for direct recruitee for the same post, which is injustice with the departmental promotee. Therefore difference in the minimum/initial pay of departmental promotee and direct recruitee should be resolved in the coming National Anamoly Committee to avoid the legal letigations. Sixth Central Pay Commission is not a bonanza to the lower level employees in any way.it is a classic example for class suppression and discrimination. Group A officers and technical category have been benefited. Government resolution of acceptance of Pay Commission report speaks the rampant partiality. Many category of Group A officers have been placed in PB-4 who were earlier placed in PB-3 by the pay commission. DA for 100% neutralization of price index is being extended to Group A- officers also which was 70% till 4th Pay Commission(1996). Pay Band- 2 has been created after merging the pre-revised scales of 5000-8000, 5500-9000 and 6500-10500- and Pay Band-3 has been created after merging the pre-revised scales of 8000-13500 and 9000-13500. For arriving the minimum of the Pay Band-2 only the minimum of the lowest pre-revised scales merged (5000) has been taken (5000 x 1.74-later changed to 1.86) where as for Pay Band-3 minimum of the highest pre-revised scales merged (9000 x 1.74) has been taken. Now the pre-revised scale of 6500-10500 has been taken out and merged with pre-revised scale of 7450-11500 and given the grade pay of 4600/-. However, minimum pay as fixed as per the existing fixation formula of employees in position as on 1.1.2006 will be less than that of entry pay specified for direct recruits of grade pay of 4600/-. Pay commission has not derived a separate fixation formula where merging of two or more scales has been taken place. Pay fixation in the revised scale is allowed to be done by pay drawn in the existing scale multiplied by 1.86 in all cases. In many cases the pay specified for corresponding grade pay for direct recruits is much higher than that of the pay fixed as per the fixation formula of existing employees. While framing the Revised Pay Rules 2008, department of expenditure has sidelined the main concept of merging of scales and inserted common fixation formula for all. The pre-revised scale of 6500-10500 has been taken out and merged with pre-revised scale of 7450-11500 and given the grade pay of 4600/-. However, minimum pay as fixed as per the existing fixation formula of employees in position as on 1.1.2006 will be less than that of entry pay specified for direct recruits of grade pay of 4600. In many cases the clarificatory orders regarding pay fixation issued by the Department of Expenditure are misleading and confusing. A clear cut clarification regarding pay fixation consequent upon grant of revised pay structure of grade pay of Rs.4600/- in the pay band PB-2 to Assistants and PAs of CSS, AFHQ, Railway Board and MEA is yet to be given. It is stated that for Assistants and PAs in position as on 1.1.2006 the pay is to be fixed according to the fitment table of the pre-revised scale of Rs.5500-9000 where as for Assistants and PAs promoted after 1.1.2006 it is stated that their pay is to be fixed according to the fitment table of the pre-revised scale of Rs.7450-11500 and therefore, juniors are getting more pay. Due to irrational clarification, juniors are getting more pay and stepping up has become a major issue. Infact stepping up is not a permanent solution for any of the above issues such as direct recruits getting more pay than promotees etc. Generalizing the pay specified on grade pay for direct recruits for all is the only solution. The Anomaly Committee solve this parity which is created by the F.No. 1/1/2008-IC Ministry of Finance Department of Revenue dated 13th November,2009 new delhi has Grant of the revised pay structure of grade pay of Rs.4600 in the pay band PB-2 to posts that existed in the pre-revised scale of Rs.6500-10500 as on 1.1.2006 and which were granted the normal replacement pay structure of grade pay of Rs.4200 in the pay band PB-2. but all cpmf raw & IB persons which pre-revised scale of Rs.5500-175-9000 in the vth pay commission upgraded the pre-revised scale of Rs.6500-10500 w.e.f 01.01.2006. so please clarify the problem which is occured between older order and newly order. and grant them 4600 GP to all cpmf, raw & IB persons. governemnt is creating unequality among equals, which is unconstitutional and against the spirit of rule of law..
My old month of increment is February.Only sufferrers by postponing their increment are those whose date of next incrment falls from feb to june.This is the most genuine demand.The employees whose date of next increment from july to December got their increment preponed in July. The issue of Increment to those employees whose date of increment is between February and June may kindly be strongly take up in the National Anomaly Committe to be held on 15.2.2011 please. I hope, the Govt. will consider the issue sympathatically and issue necessary orders to settle the anomaly of date of next increment from feb to june as one time measure so that we are not put to regular financial loss, including pensionary benefits. I have only 6 years of service to retire and one can imagine the cmulative loss in salary and pension due to the above anomaly. I am suffering from above losses for no fault of mine. The next Anomaly Committee meeting is sheduled to be held on 15.02.2011. I have much expectation with it, hope most of the issues pending will be resolve in this meeting. I was promoted as Auditor w.e.f. 16.01.2006. I have opted for revised pay to be fixed from the date of my promotion whether I will get increment on 01.07.2006 if the issue of one time increment (between feb to jun) is solved. Further, I was promoted as AAO w.e.f. 09.12.2009 after passing the SOGE (to be passed by DRs also before confirmation) and my pay was fixed by getting only 3% increment in lower grade and the fay was way behind the entry grade pay for DRs in the grade pay of Rs4800/-. Whether the NAC is going to give dicision regarding min. pay to be fixed at par with the DRs. <1> school Librarians, TGT and Physical Education Teachersare placed in the grade pay of Rs.4600/-. <2> The Library Information Assistants are placed in the grade pay of Rs.4200/-. <4> The above referred anomaly existed in the 5th CPC too. That is, school librarians were placed in the pay scale of Rs.5500-9000/-, whereas the Library Information Assistants were given the pay scale of Rs. 5000–8000/- initially. But this time anomaly was removed by the Ministry of Finance vide its Office Memorandum No. 71/3/2001-IC, dated 21. 2. 2002, and placed in the pay scale of Rs.5500-9000. <5> It is stated that the Library Information Assistants School Librarians, Trained Graduate Teachers, Physical Education Teachers require for their recruitment minimum educational qualification(3 year Graduation + one year Professional degree)i.e .B.A/B.Sc/B.Com.+ B.Ed./ B.P.Ed./B.Lib.Sc. Above all educational are equal. <6> Hence it is justified that the Library Information Assistants deserve to be placed in the grade pay of Rs. 4600. I request to the National anomaly committee (6th CPC) to render natural justice to the Library Information Assistants. I request the anomaly committee with due honour that the Jr.stenographer grade to be increased because before the implementation of 6th pay commission, basic pay of Sr. Clerk,JAA & Jr. Steno was same but now why now Jr. stenos are being the sufferer. In addition to this, grade pay of Jr. steno state of West bengal is Rs. 3600/- . So, kindly ponder over the matter. Thanking you all in anticipation. The UDC scales holder of the central govt. employees fixed i.e. Rs.4000-6000 + GP 2400, but in MACP with GP will be 2800/- only where previously they were getting on ACP Rs.5500-9000 scale, you here see how they are now loosing their huge financial loss. Now they will get GP-Rs.2800 only. In Central Secretariat the UDC's have been getting upgraded/adhoc promoted and well settled they are, but here what about other UDCs, so it seems that it is purely PARTIAL decision among the UDCs and the decision given by the any official is must be a made officer, this type of decision given partial is clearly against the justice. I am telling here that now a days the market rate is unbalanced and govt. giving this type of decision is only cheating/harrassing and giving the so sad in their life/family's bread and butter. No body is thinking about others, they think that we are rule maker and breaker also, but here I can say this type of justice is no longer and it will refer huge and solid refercation with legal attraction in maximum numbers will come around the country. All the legal expenses should be recovered from those who were formed this type of decision even they retired the cost must be recovered from them. thank you god, save the nation, Vande Mataram. Please refer DOPT’s Office Memorandum No.11/1/20-JCA dated 6-10-2010 and Office Memorandum No.35034/9/2010 –Estt. (D) dt.10-02-2011. It is observed that the issue of providing an option to organization/cadres to have a choice for opt between the old ACPS and new MACPS shows a mixed response from organization and cadres. This is because the employees, who were granted Ist and IInd ACP upgradations after completing 24 years of service, are awaiting for 3rd upgradation under MACPS on completion of 30 years of service. If entire organization/cadres opt for old ACPS, the 3rd upgradation is not possible under ACPS. This is a monetary loss for them. On the other hand, many employees give their support for old ACPS, because under old ACPS only they can get the grade pay of promotional hierarchy (which benefit their compatriots are enjoying as they have completed 24 years of service before 01-09-2008). But under the new MACPS they can get the grade pay of immediate next hierarchy only. This is a great monetary loss for them. Hence, the” immediate next hierarchy” is the thorn in the palm. It must be mercifully modified for the benefit of our employees.. Especially, in the case of LDC-UDC-Head Clerk, the grade pay is 1900-2400-4200 respectively. But the grade pay of Rs.2800/ was inserted as the immediate next hierarchy (under MACPS). The difference between promotional hierarchy and immediate next hierarchy is a huge 1400 rupees. In the departments, where, there is no post, bearing Rs. 2800 as grade pay in the line of LDC-UDC-Head Clerk, the immediate next hierarchy may be taken as 1900-2400-4200 and in the departments, where, there is post, bearing the grade pay of Rs.2800 ( senior clerk’s ) it may be taken as 1900-2400-2800 as like in the line of LDC-UDC-SENIOR CLERK. As an alternative option, providing the option between ACPS and MACPS may be given to individuals with 3rd upgradation will be on completion of 30 years of service if there is no promotion. To mention it clear, that, the Ist and IInd upgradation will be under ACPS and the third will be under MACPS. So that one can get three upgradations in ones service. This will give some mitigation to those, who were covered under old ACPS upto 31-08-2008 and shifted to MACPS after 01-09-2008. It is requested that, this anomaly may please be considered and solved by the upcoming NAC on15-02-2011 generously. since the posts of private secretaries have been upgraded with Grade pay of Rs.4,800/- and that of personal assistants with Rs.4,600/-; now,is the time to upgrade the post of steno grade 'd' as they are the worst hit by the recommendations of the 6th Pay Commission. There is need to upgrade the post with grade pay of Rs.4,200/- and placing them in the PB-2. The post should also be rechristened as Junior PA or something of the sort. Notwithstanding the fact that the DOPT is insisting cadre restructuring, many departments are unable to initiate and complete the restructuring process and the time is ticking fast. The way for restructuring the cadres is in the hands of DOPT only. They have restructured the group-D, restructured their grade pay and upgraded the group-D as group-C. Thereon MACP upgradation is also given to group-D employees. For this upgradation, a degree from recognized university can be fixed as minimum qualification. This is because, for UDC direct recruitment, the minimum qualification is any degree from a recognized university. By this way only DOPT can complete the restructuring and solve the stagnation/fallback problem without any anomalies. The forthcoming NAC on 15-02-2011 may generously decide to handover this restructuring work to DOPT effectively. Apropos the fact, that the Record Note issued by DOPT vide its Office Memorandum No. 11/1/20-JCA dated 6-10-2010 clearly states about the decision to provide option to choose either ACPS or MACPS for organizations/cadre and to complete cadre restructuring for fall back employees so that the stagnation problem could be solved, nothing is in progress. This is because many departments are not in a position to initiate DPC for restructuring the cadres of fall back employees. Another reality is, the condition, that the option between ACPS and MACPS will be allowed for organization/cadre only and not for individuals, plays the spoil game. If the option is allowed for individuals with the 3rd upgradation will also be allowed on completion of 30 years of service, it can alone fetch a good result in solving the problem of stagnation. It is requested that the forthcoming meeting of NAC on 15-02-2011 may kindly look into the stagnation mater and solve the problem amicably. Notwithstanding the fact that the DOPT is insisting cadre restructuring, many departments are unable to initiate and complete the restructuring process and the time is ticking fast. Ref:DOPT’s OM No.35034/9/2010-Estt. (D) dt.10-02-2011. By this way only DOPT can complete the restructuring and solve the stagnating problem without any anomalies. How the anomalies are not sorted for so long period though so called National Anomaly Committee is in existence and its tenure is nearing end. Regarding MACP the cut off date put for claiming ACPS is 31 Aug 2008. In my case i have completed 24 years service and ACPS applicable is from 1-9-2008 and order in this regard has been issued by competent authorities. As per the MACP circular I have been rejected the ACPS benefit to get higher grade pay and put under next higher grade pay. Is it not anomaly on the part of people like me, who even after completion of 24 years of service denied the ACPS benefits. Again in my case the ACPS order was issued before the issue of MACP order i.e, the existence of the MACP. Which shows that the concerned authorities did not prepare the bill and were waiting for this order to come. How can there be a such a high anomaly that even after complition of 24 years of service we have been denied of the benefits of ACPS just because of the cutoff date of 31-8-2008 in the MACP order and our order effected from the very next day i.e. from 1-9-2008. This cutoff date has made injustice to we people by throwing away from the ACPS reach, for which we are actually entitled. Even giving the option under the new rule is not considered in our case.We hope anomaly committee will help in this regard.